U.S. Secretary of State John Kerry and Iran's Foreign Minister Mohammad Javad Zarif. Secretary Kerry has said some sanctions relief is likely to go to terrorists. 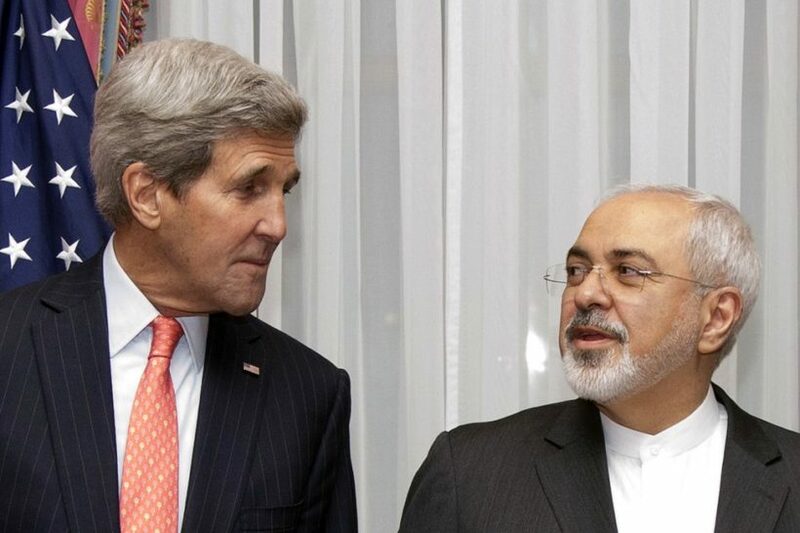 (Associated Press) DAVOS, Switzerland — US Secretary of State John Kerry said Thursday it is likely that some of the billions of dollars in sanctions relief granted to Iran under a landmark nuclear deal will go to groups deemed terrorists. Kerry said on the sidelines of the World Economic Forum that there is little the United States or others could do to prevent the now-unfrozen assets from getting into the hands of the Iran Revolutionary Guard Corps or “other entities” that Iran has supported in the past. But since nuclear-related sanctions were lifted on Iran last weekend, Kerry said there was no evidence yet to suggest such transfers had occurred. Kerry also said that many critics of the Iran deal were inflating the amount of money that Iran now has access to. He said estimates of $100 billion to $150 billion were incorrect — $55 billion was more accurate, he said — because large chunks of that money is obligated to satisfy foreign debt. In addition, he said Iran has more than $500 billion in infrastructure and development needs and must invest at least $100 billion to modernize its energy sector. Earlier Thursday, Kerry rejected Iranian criticism of Washington’s use of economic sanctions, saying they are imposed when appropriate. Kerry said US penalties against Iran and other nations have been “used judiciously and effectively” and will continue to be used in the future. “We have made it very clear that we use sanctions when we think they are appropriate in order to counter behavior that we believe has broken the law or has challenged the United Nations Security Council or threatened the United States and we stand by our sanctions,” Kerry told reporters. His comments came in response to a complaint lodged a day earlier by Iranian Foreign Minister Mohammad Javad Zarif who told The Associated Press in an interview that new US sanctions over Iran’s ballistic missile testing are “illegal” and an example of an American “addiction to coercion.” The penalties were imposed Sunday, a day after the US and other nations lifted sanctions over Iran’s nuclear program. US officials say Iran’s missile test in October violated UN Security Council restrictions on such activity. Copyright 2016 the Associated Press, at The Times of Israel. Reprinted here for educational purposes only. May not be reproduced on other websites without permission from the Associated Press. 1. Read the “Background” below the questions. 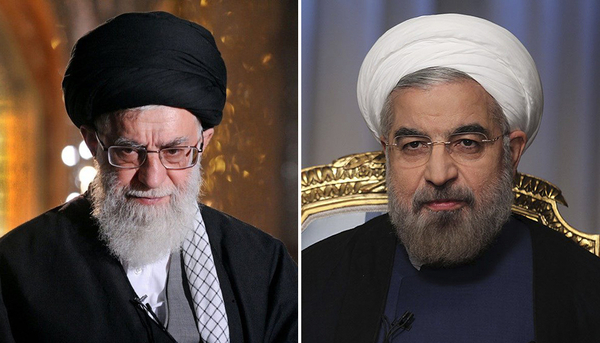 What is known about the Iranian government’s relationship with terrorist groups? Be specific. 2. President Obama negotiated an executive agreement with Iran to drop sanctions against the country in exchange for a promise that Iran would put limits on its nuclear programs for at least ten years. How much money is Iran getting back now that the sanctions are dropped? 3. a) What is the IRGC? What accusations have been made against the IRGC? b) What did U.S. Secretary of State John Kerry admit Iran will use some of the money for? 4. How does Secretary Kerry defend this concerning news? 5. Secretary Kerry also said, “We have made it very clear that we use sanctions when we think they are appropriate in order to counter behavior that we believe has broken the law or has challenged the United Nations Security Council or threatened the United States and we stand by our sanctions.” Ask a parent: Do you support the Obama administration’s push to drop the long-standing sanctions on Iran in exchange for a promise to hold parts of its nuclear program? Explain your answer. The Army of the Guardians of the Islamic Revolution, often called Revolutionary Guards or Iranian Revolutionary Guard Corps (“IRGC”) is a branch of Iran’s Armed Forces, founded after the Iranian revolution in 1979. 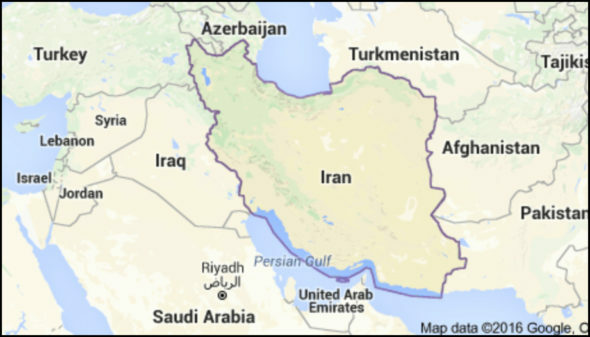 Whereas the regular military defends Iran’s borders and maintains internal order, according to the Iranian constitution, the Revolutionary Guard is intended to protect the country’s Islamic system. The Forum is best known for its annual winter meeting in Davos, a mountain resort in the eastern Alps region of Switzerland. The meeting brings together some 2,500 top business leaders, international political leaders, selected intellectuals, and journalists to discuss the most pressing issues facing the world. Al Gore, Bill Clinton, Bill Gates, Bono, and Tony Blair also are regular Davos attendees. Often this location alone is used to identify meetings, participation, and participants with such phrases as, “a Davos panel” and “a Davos Man”. In 2002, the world discovered that Iran’s had been conducting a 20 year secret nuclear program. The IAEA issued a report on Sept. 15, 2008 that said Iran has repeatedly blocked an investigation into its nuclear program and the probe was then deadlocked. When nuclear talks between Iran and Western governments were stalled and seen as a failure again in 2015, they were cited as a reason to enforce stronger economic sanctions on Iran. Then, on April 2, 2015, the P5+1 and Iran, meeting in Switzerland, reached a provisional agreement on a framework that, once finalized and implemented, would lift most of the sanctions in exchange for limits on Iran’s nuclear programs extending for at least ten years. As a result, UN sanctions were lifted on January 16, 2016. To do the deal, the Obama administration sidestepped Congress, which opposed dropping the sanctions against Iran. President Obama used an executive agreement to make the deal with Iran. Opponents say there is no way to ensure Iran will live up to its part of the agreement, as they are allowed to “self-monitor” their nuclear program. Iran’s President Hassan Rouhani (right) assumed office on August 3, 2013.